Behind many of Westborough’s cultural performances and programs is the Westborough Cultural Council. 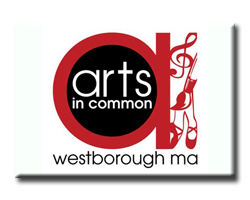 This program gives the community the opportunity to learn about how the council is funded, the grants the Council gives to local groups and organizations, and how the Council facilitates artistic expression in Westborough. Additionally, a large focus of the series will be on the process of organizing the Cultural Council’s largest event of the year, Arts in Common. Many performances from the previous year’s event will also be shown. Arts in Common is an artistic festival that takes place in the Bay State Commons shopping center every fall.